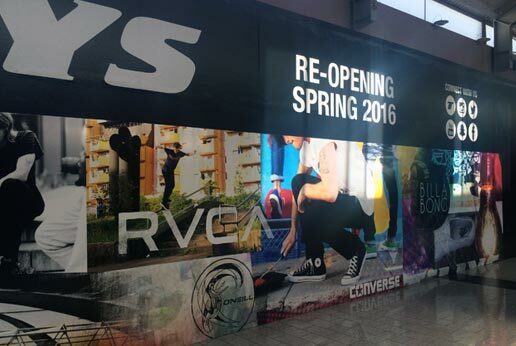 When Tilly’s at Antelope Valley Mall in Palmdale CA needed to close the store for remodeling they chose AmGraph to provide the barricade graphics. This large barricade is truly stunning and is a great example of the power of barricade graphics to not only promote the brand but to create anticipation and excitement about the upcoming store opening. 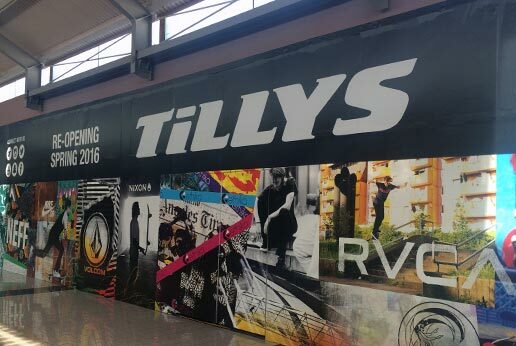 Since 1982, Tilly’s has been is a specialty retailer in the action sports industry selling clothing, shoes, and accessories. They operate 224 stores throughout the US. Tilly’s offers a large assortment of brands and merchandise from the top players in the surf, skate, motocross and lifestyle apparel industries. 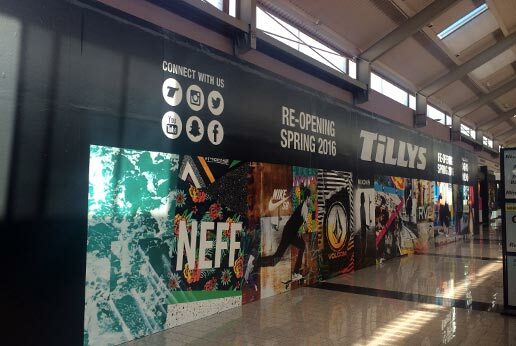 Tilly’s is always on trend and has an unparalleled assortment of merchandise. The unique look of the stores creates a shopping experience that is creative and fun.